Anytime a director like Wes Anderson, with his track record and distinct style, releases a new film, it feels like a gift to film lovers. A return to stop motion animation nine years after Fantastic Mr. Fox makes that gift even sweeter. The picturesque nature of Anderson fits neatly inside the detailed world of stop motion animation, a perfect combination if you will. Throw in dogs on top of that and it’s really hard to imagine the final product being anything but quirky and fun. 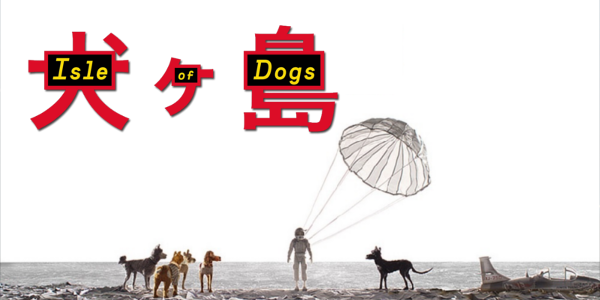 When, by executive decree, all the canine pets of Megasaki City are exiled to a vast garbage-dump called Trash Island, 12-year-old Atari (Koyu Rankin) sets off alone in a miniature Junior-Turbo Prop and flies across the river in search of his bodyguard-dog, Spots (Liev Schreiber). There, with the assistance of a pack of newly-found mongrel friends, he begins an epic journey that will decide the fate and future of the entire Prefecture. First of all, the story’s setting is sure to raise some eyebrows, with talk on appropriation that I’m far from qualified to be talking about. What is evident, however, is the lack of connection to the Japanese characters that stems from an interesting choice to not use subtitles when Japanese is spoken. 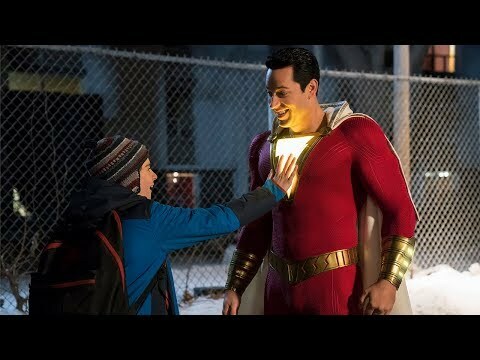 The little detail may not seem huge, but in the film, it causes the audience to disengage from the human characters a bit. And while Isle of Dogs is engaging, it does lack that emotional stimulation that Anderson’s other films possess. To no fault of the cast though, as the usual suspects fill in as various dogs throughout the story, even seeping through to the characters in some respects. For instance, Bill Murray gets a ton of Bill Murray like dialogue, tailor made for him it seems. Across the board though, the star-studded cast delivers tremendous voice work, with Bryan Cranston’s Chief being the highlight of it all. Director Wes Anderson might well have his own genre at this point. 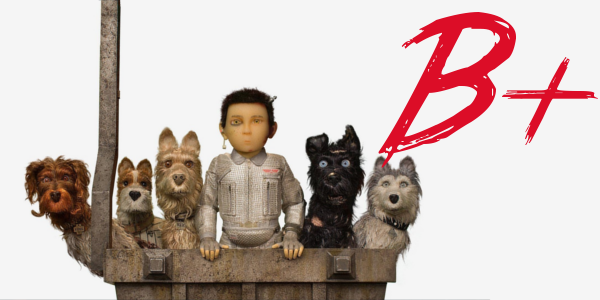 When it comes to tone, Isle of Dogs brings all amounts of quirky and cute you could imagine, and then some. The meticulous nature of the animation is unimaginable and it results in another beautiful film from the director. Anderson’s love of symmetrical imagery is able to shine through in stop motion, where each shot is painstakingly developed. The story may not be there, but the excellent visuals more than make up for it. Overall, Isle of Dogs is peak Anderson in terms of style, while certainly lacking on the substance. The film is gorgeous to look at, with every shot being another marvel of animation, but lacks any clear emotional weight or connection. A star-studded cast provides exceptional voice work and the music from Alexandre Desplat elevates the beauty of it all, but the sum of its parts still doesn’t quite measure up to the best of Anderson’s work. With a filmography as fantastic as his, however, even a great film like Isle of Dogs may find itself near the bottom.